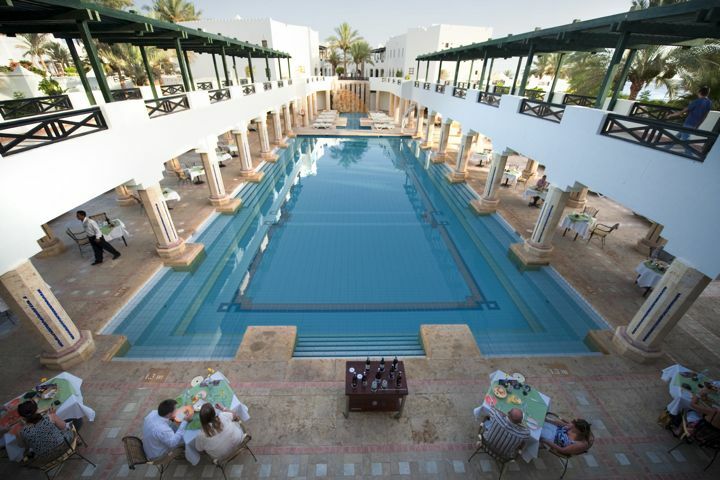 Boasting a quirky layout that gives it a real village feel, the Sharm Plaza has plenty to off er from quiet corners for catching up on the latest holiday blockbuster, to jumping off the hotel jetty right on to the famous Far Garden reef, perfect for snorkelling. There’s a restaurant round every corner, and loads to see and do! STANDARD ROOMS have a balcony or terrace and sleep up to 3 adults (with rollaway bed). Rooms without a balcony are available for a small reduction. SEA VIEW and INTER-CONNECTING ROOMS available at a supplement. FAMILY SUITES have 2 rooms and sleep up to 4 adults. The beach is a series of sandy terraces, with steps down to jetties leading across the coral to deeper water – beach shoes are recommended.